Always a buyer for a good used trailer. 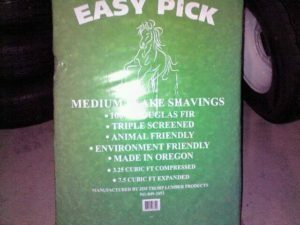 We sell top-quality, Easy Pick fir stall bedding in two sizes. 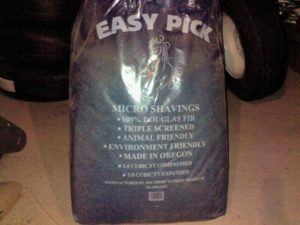 The original blue bags of Micro Shavings and now a Medium Flake green bag. 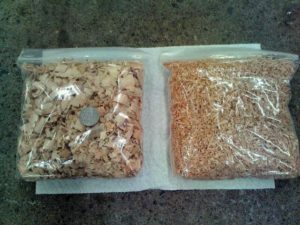 The sample picture below shows the larger flakes with a nickel to compare size next to the original blue bag micro shavings on the right. Sold by the pallet only. Call for pricing, (541) 474-1098.